The independent feature, “Beyond The Farthest Star” and The Thomas Kinkade Company announce the national city-by-city release of the film and unveiling of a new painting inspired by the story. The film stars Reneé O’Connor, Todd Terry and Barry Corbin, along with Billy McNamara, Andrew Prine, Cherami Leigh and Lou Beatty, Jr. 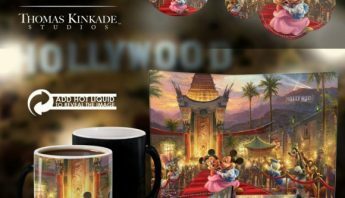 The Thomas Kinkade Company partners with Pathlight Entertainment’s film, Beyond The Farthest Star on the dual national release of a Kinkade painting and the film that inspired it. Along with the painting, the feature film will experience a national city-by-city, Theater-On-Demand distribution by Gathr Films®. “It is an honor to have our film associated with an artist whose work consistently reflects belief in home, family, and hope in a time so callous and cynical in its social, political, and artistic expression,” says writer/director Andrew William Librizzi. Early in 2012, famed artist Thomas Kinkade experienced a rough-edit of Beyond The Farthest Star and was inspired by its story. The “Painter of Light” usually crafts a sketch, then watercolor, for concept, color and layout before completing a final painting in oil. However, days after the initial work, Kinkade died suddenly. After the unfinished work sat dormant in the Kinkade vault for some time, Thomas Kinkade’s brother, Patrick Kinkade, wished to see his brother’s vision to completion. 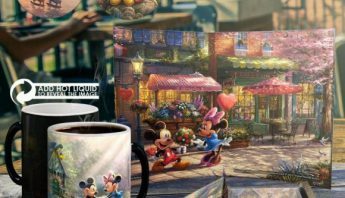 Patrick, who now serves as the Thomas Kinkade Company’s Chief Creative Officer, encouraged his son (and Thomas’s nephew), Zachary Thomas Kinkade, to consider completing the original idea. Zachary, now continuing the Kinkade legacy as a resident artist at the Company, was inspired to explore Thom’s original concept and paint a new impression of the film’s story. The painting honors the film and Thomas Kinkade’s concept with the characters from the film looking up into a night sky over a quaint Texas city. Thomas Kinkade’s luminosity technique was used to capture the glowing stars in the sky above and the lights of the idyllic city below. 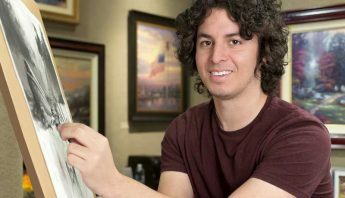 The painting will be released on Monday, August 17, 2015, at a special screening of Beyond the Farthest Star at the AMC Palace Theater in Fort Worth, Texas. The event will be held at 7PM and Patrick and Zachary Kinkade will be in attendance to unveil the finished painting and meet with attendees. 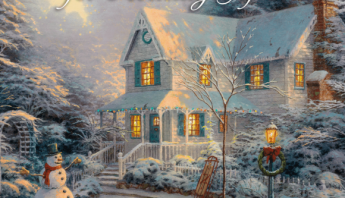 Pathlight Entertainment, in cooperation with the Thomas Kinkade Company, is releasing the film and Kinkade painting. 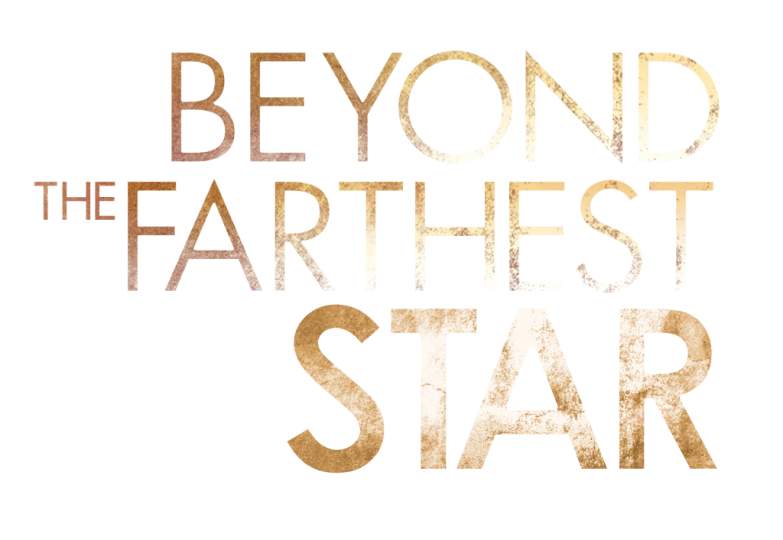 Starting August 10th, in special Gathr Films® one-night cinema events, Beyond The Farthest Star will begin showing in multiple cinemas. This grassroots system allows fans to demand when and where they experience “Star”, on the exact day and time they select, in top-brand cinemas across the country. Interested individuals are encouraged to email staff for more information atinfo@PathlightEntertainment.com. The film has also inspired a Harper-Collins novel by best-selling author team, Bodie and Brock Thoene, and remake of the classic song, “Beauty For Ashes” by Dove Award-winning Crystal Lewis. The Thomas Kinkade Company is owned by Art Brand Studios, a fine art publishing company. Art Brand Studios distributes art and related collectibles through a network of authorized dealers and strategic relationships. The company’s primary products are canvas and paper reproductions that feature peaceful and inspiring themes. 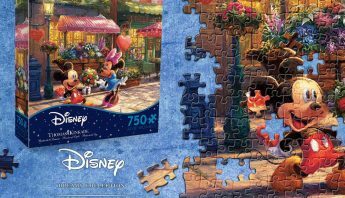 For additional information on the Thomas Kinkade Company visit www.thomaskinkade.com. The Beyond The Farthest Star cast includes international star Renee O’Connor (“Xena”, “Ark”, “Boogeyman 2”), Todd Terry (“Breaking Bad”, “Arlington Road”, “Fissure”), Barry Corbin (“No Country for Old Men”, “Anger Management”, “War Games”), William McNamara (“Copycat”, “Chasers”, “The Legend of Hell’s Gate”), Andrew Prine (“The Miracle Worker”, “Gettysburg”, “The Dukes of Hazzard”) and Cherami Leigh (“Temple Grandlin”, “Fast Food Nation”). “Star” is helmed by writer/director, Andrew Librizzi (“Holding On”, “Still Born”), executive produced by Benjamin Dane (“The Significant Other”, “Still Born”) and produced by Sally Helppie (“Exit Speed”, “The Beacon”). Richard Propes, The Independent Critic says, “Beyond the Farthest Star is that rare film with the courage to speak a harsh and authentic truth while never losing sight of its grander truth.” In the film, Pastor Adam Wells, revered as “the Next Billy Graham” of the sleepy Texas town, faces circumstances forcing him to choose between church superstardom and his fractured family. His decision changes everything.